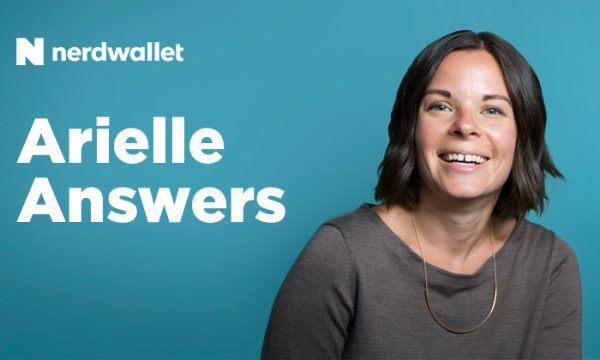 “Arielle Answers” is an investing and retirement Q&A column for all ages and life stages. I’m here to help you save more and reach your investing goals, whether that’s retirement, a house down payment or college for your kids. These are things I’m saving for, too. If you have a question, I’d love to answer it. (The disclaimer: I won’t tip you off to the next hot stock or the best mutual fund because I can’t predict the future.) Send a question to arielleanswers@nerdwallet.com and it may appear in an upcoming column. Q: Where can I find an investment opportunity in which I’m guaranteed a big return? You probably remember the first time you learned you can’t get something for nothing. For me, this lesson was courtesy of Columbia House. The now-bankrupt company was popular with teenagers in the ’80s and ’90s for its mail-order CD clubs: You sent them a penny, and in return you got “free” CDs of your choice — regrettably, I chose the “Free Willy” soundtrack — and automatic enrollment in an obscenely expensive monthly CD subscription. The wrath of your parents when they found out what you’d done was an additional bonus, at least in my case. It was, in short, too good to be true. And unfortunately, so is what you’re asking for here: It’s not that these “investment opportunities” are hard to find; there’s probably one in your email’s spam folder right now (spoiler: it’s a scam). It’s that the biggest returns in investing force you to give up on the idea of a guarantee; in fact, they often require you to take on bigger risk. It’s the sad fact of investing: Investments that have historically shown the most growth — namely, stocks — make us sweat in the process. Investments that make us feel warm and safe kick off little in the way of returns. Vanguard recently published an analysis that showed an all-stock portfolio had an average annual return of 10.1% between 1926 and 2015. Nice, right? But it also suffered a loss of 43.1% in 1931 — and losses aren’t limited to catastrophic events like the Great Depression; that portfolio was down in 25 out of those 90 years. On the other hand, an online savings account will guarantee your principal in the form of the Federal Deposit Insurance Corp., but these accounts pay an interest rate in the neighborhood of 1%. Your job is to decide how much risk you’re willing to take, and for that, you need to look at your time horizon and whether you have the stomach to stay the course during market drops. For long-term goals, like retirement, you generally can and should take more risk — you’ll have time to rebound from market setbacks, and you need bigger returns to outpace inflation. That doesn’t necessarily mean an all-stock portfolio like in the Vanguard example; you need to come up with a reasonable and diversified portfolio allocation so you have a buffer of safer investments in case your retirement date lands in one of those down years. For short-term goals — a home down payment, next year’s cross-country road trip — simply maintaining your money is the name of the game; any interest earned is a bonus. With all of that said, if someone promises you a big and guaranteed return, he or she is probably a salesperson and/or in dire need of your money; either way, you are unlikely to get it back. But there are two exceptions. I have written this roughly 400 times, but I will never write it enough: If your employer offers to match your 401(k) contributions, take the deal. Not only is it free money — a prize for saving for retirement, something you should be doing anyway — it is a huge, guaranteed return on your investment … a return one in four employees is missing out on. Let’s say your company matches 50% of your contributions up to 6%, and you earn $40,000. That means if you contribute $2,400 this year, the company will throw in $1,200 — and just like that, you’ve earned a 50% return. Now, if you invest that money — as you should — you could lose some of it to market fluctuations, at least in the short term. But you could also gain a great deal, particularly over the long term: Depending on how you’re invested, an annual average return of 6% to 7% isn’t unreasonable. This isn’t a traditional investment, no. But if you’re already earning your 401(k) match, or you’re not offered one, paying off debt can be the next best thing. Wiping out a debt in one chunk rather than over time gives you a guaranteed return equal to the interest rate on that debt. In other words, paying off an 18% credit card interest rate = an 18% return. That’s the money you saved by not paying that interest. While that equation is true of most debt, this advice specifically applies to high-interest-rate debt — things like credit cards, some personal loans and most definitely payday loans. These tend to have interest rates that exceed what you could earn through investing. Finally, to make your money really go far, you can put the debt payments you no longer owe toward your retirement instead, either in that 401(k) or in an IRA. Being consistent about saving — rather than chasing outsize investment returns — is the best way to build a healthy retirement fund.